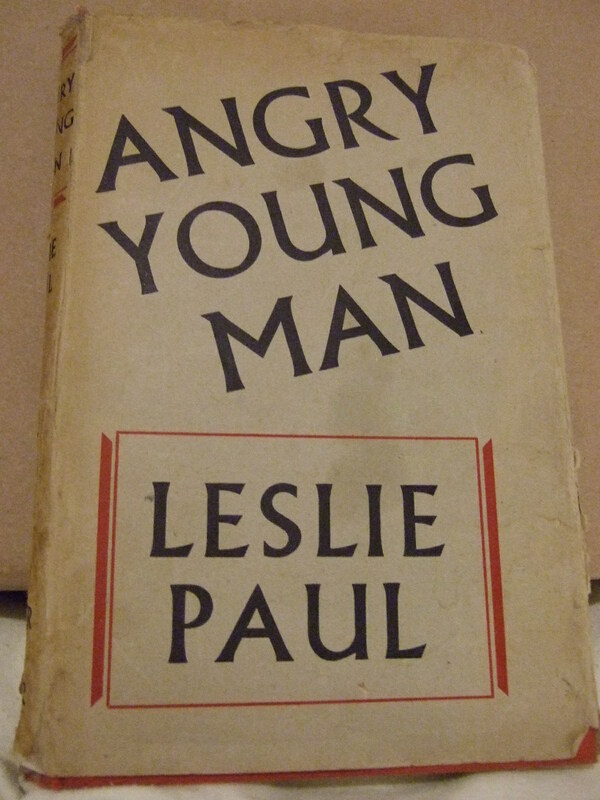 I haven’t posted much on the history of political organising but recently someone recommended to me the out-of-print book Angry Young Man. This is the autobiography of Leslie Paul, a founder of the Woodcraft Folk who saw at first hand many of the political movements of the early 20th Century. It is well-written and an enjoyable read and includes so much that I found historically interesting – including chapters on Soviet Russia and the General Strike in South London as well as youth movements – that I thought I’d post up a chapter-by-chapter summary. Chapter 1: The Boy on the Beach: The author records his teenage years in the Whitechapel including his love of literature, his boring jobs and the development of his almost spiritual love of nature and the outdoors. He joins the Scouts, then leaves for the new anti-militarist youth organisation Kibbo Kift Kindred, the acronym for which I would use below if it weren’t what it is. Chapter 2: A Young Chap in Fleet Street: In which he joins his fathers newspaper advertising business in Fleet Street. He starts writing articles and editing. He begins to become more politicised, joining the Labour Party and getting involved in party organising. A lot of the interest in these early chapters comes from seeing the life of a relatively uneducated if upper-strata working class man in London at this time. Chapter 3: ‘Oh Young Men Oh Young Comrades’: More about his involvement with the Scouts and the beginning of Kibbo Kift Kindred. The author helps to start a South London network of Kibbo Kift groups called ‘The Brockley Thing’, having their first meeting at Deptford Town Hall. Not initially intended to be a new movement, it becomes the cause of a split with Hargrave, the founder of Kibbo Kift Kindred, who rejected formal alliances with the Labour movement. The chapter includes some detail of what these youth movements got up to, mostly based around escaping London to have intense experiences camping in the countryside. This is in part a rebellion against what they consider to be a ruined and dying civilisation. Chapter 4: The Council of Action: Concerning the General Strike and the author’s involvement with it in Deptford and in Lewisham, where he headed a Council of Action to support the strike. We learn something about the reluctance of union leaders to engage in the strike while more radical elements in the union movement pushed it forward. There are clashes on the streets with Fascists. Chapter 5: Death of An Informer: A chapter that examines the General Strike further, particularly as events unfolded in South East London. Rather oddly this is all described through the lens of the discovery of an alleged government infiltrator of the local socialist groups. This ended up becoming something of a scandal after the infiltrator was discovered and committed suicide – but it now seems a rather minor detail in the wider story. The author hypothesises some reasons for the strike’s failure. Chapter 6: The Dedicated Life: The failure of the strike leads to the decline of much radical socialist organising in Britain. The author puts most of his energy into the Woodcraft Folk, reaching for spiritual as well as political meaning within youth movements. He moves to a house in the Forest Hill/Sydenham area, at that time still semi-rural. He travels more widely in his outdoor adventures, meeting an assortment of eccentric pacifists and vegetarians, among them a man who is on a quest to find a way of eating only grass. He becomes more involved in promoting pacifism. Chapter 7: Death of a Space Seller: Concerning the death of the author’s father. Changing business models in Fleet Street put his father out of a job. He is unable to adjust his self-image to unemployment and drinks himself to death. We learn a little of the author’s family history and his relationship to his father. His father’s death leaves them in a poor financial condition. Chapter 8: European Perspectives: The author begins to make money from journalism and thinks about writing a novel. The Woodcraft Folk’s links with the co-operative movement are discussed. The author travels to Vienna to the International Co-operative Congress, dominated by Russia. He gives an account of his time in Vienna and we learn about the more successful youth movements in Europe. The most successful of all movements were in Germany and the author watches in horrified disappointment as they degenerate into the Hitler Youth. Chapter 9: The Leninist Circus: The author visits Russia and is exposed to government shepherding and propaganda. He attempts to explain why he supported Soviet Russia at the time, though he later grew ashamed of his apologism. In his defence he points out that Russian standards of living were improving rapidly compared to the previous Tzarist regimes. The industrial achievements in such a short space of time were impressive. He encounters Russian revolutionary theatre. In developing a friendship with his interpreter he discovers the real extent of party control. Chapter 10: ‘Nothing is Innocent’: Gives the detailed story of an incident in Russia involving a young boy returning to Russia on the ship the author arrives on. The boy had been left in London by his mother but naïve London communists have sent him back. His visit to the boy and his mother terrifies them, since contact with foreigners is disapproved of. A more informed member of his travelling party explains what a dangerous thing he has done. We learn about the economic problems of Russia, particularly its co-ops. Chapter 11: Decline of the Youth Movement: The author publishes his first novel, Fugitive Morning. It sold few copies and no trace of it can be found on Amazon. In a sad irony, the hearty outdoor life he has been eulogising ends up leaving him ill. He realises he is burnt out from the amount of work he did for the Woodcraft Folk and withdraws from leadership. He also has a crisis about his belief in Marxism. History had not unfolded as Marx predicted and the rise of Nazism was particularly inexplicable – ‘the greatest proletarian country had made a revolution against the proletariat’. Sensing that the rise of Nazism meant war, he renounces his pacifism. Chapter 12: Death of a Char: A friend of the author dies of TB, another dies of heart failure. His family employs a woman to clean for them, then discover she is in desperate poverty. For a while she sleeps at their house when she loses her home. She refuses to apply for relief, partly out of pride, partly out of fear of the workhouse. Eventually she dies of pneumonia in the street. Chapter 13: Red Poplar – Grey Unemployed: The author begins teaching unemployed men, first in Greenwhich at the Trafalgar Inn, then at Trinity Church – a large charitable institution in Poplar. Many of those he taught were communists or anarchists and often attacked their teacher in anti-capitalist speeches. We learn about some of the regular attendees, and about Poplar at the time, including the raucous Guy Fawkes night celebrations. Many men in Poplar turn from socialism to fascism, which seems to offer a viable course of action. The author is called up to fight. Chapter 14: Festival and Terror: The author is drawn to the non-Marxist leftism of HG Wells and his Federation of Progressive Societies and Individuals. The Woodcraft Folk aligned themselves with this at his prompting but then he pulls away from it. He also questions Marxism more strongly. He decides the proletariat lack enough of their own culture – saturated as they are with the culture of the class enemy – to successfully complete a revolution. The author visits Germany, Prague and Vienna in the run-up to the Second World War and is present for the Nazi takeover of Austria. Chapter 15: The Night of the Land Mine: War begins and with it the Blitz. His mother is evacuated from Forest Hill. People in London are losing homes and loved ones and he gets to know a family whose son is suffering shell-shock. The author is called upon to lecture at tube stations to keep morale up. Chapter 16: The Day of the Soldier: The author recounts his experiences in the army. This includes the realisation that much of the working class, alongside whom he now serves, has no radical inclinations at all. He finds camaraderie in the ranks but then because of his history is picked out to travel round giving talks on current affairs to the soldiers. Chapter 17: Dialogue of the Heart: His experience in the army gives him space to reassess all his old beliefs, including examining his now-abandoned pacifism and Marxism. He feels the need to fill the hole they left and searches for more meaning in art. He examines in full what he considers to be the lack of coherence in the ideological leftist views he had held. Chapter 18: Not My Deserving: With plenty of time to think in his barracks, he finally follows what he believes the art and nature he loves point towards: the God of Christianity he had rejected in his youth. This may seem a strange arc in the present day but I think tells us something about the degree to which the structures and beliefs of 20th Century political movements had mirrored religion.